Buying gifts for your friends and family can be a bit of a challenge. Luckily, the world of subscription boxes has exploded in the past few years. From nerdy toys to fashionable accessories, there are endless options to choose from, which means you can easily find something for that special person (or pet) in your life. Although this is certainly not an exhaustive list, we did a bit of crowdsourcing and sampling to find some of the best options for you to gift others or perhaps yourself this holiday season. Dollar Beard Club: Heard of the dollar shave club? This is like that, but for those of us who want to keep and groom our beards. 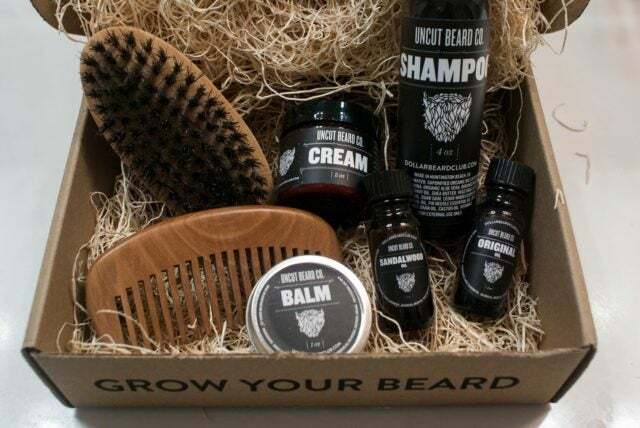 They offer products to keep your beard from running wild. BarkBox: BarkBox is a monthly surprise of dog toys, treats, and goodies! Subscribe to BarkBox for your pup – or give BarkBox as the perfect dog gift. 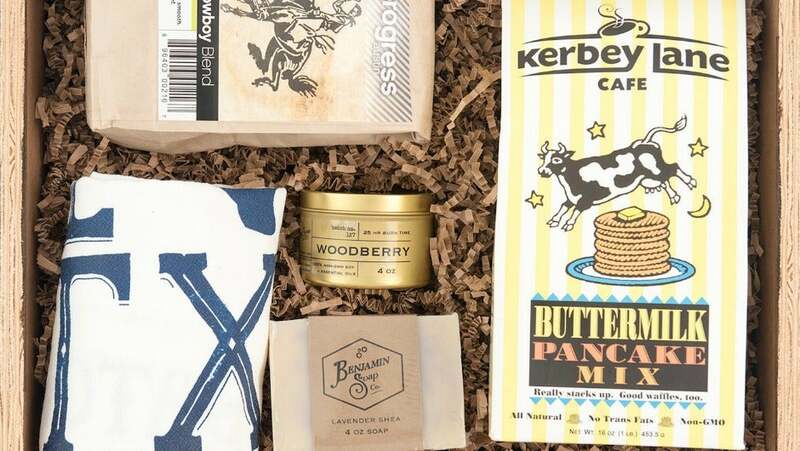 Batch: is a curated box of locally made, artisanal goods, from Nashville, Memphis, Charleston, Austin, and all across the South. They offer curated gifts featuring high-quality, handcrafted items from local makers ideal for personal gifts, corporate gifts, events and weddings. Batch is an easy and fun way to discover the best local products and deliver delight. Bitsbox: Bitsbox, the monthly coding subscription box is truly a wonderful gift to give all elementary school children as it teaches kids to love coding right out of the box! It’s a fact that the ability to code increases self-esteem and Bitsbox accomplishes this all while kids have fun and are engaged. HelloFresh: Amongst the battle for your kitchen, Hello Fresh is another contender trying to make you a better home chef. Each box contains three meals with two servings per meal. Blue Apron makes cooking fun and easy. We’ll provide you with all the ingredients that you need to make a delicious meal in exactly the right proportions. The Book of the Month Club: is a United States subscription-based book club that offers a limited number of new books each month to members. BOXYCHARM: is a beauty box subscription with five full-size and luxury travel-size products for only $21 per month with a retail value over $100 & free shipping. Creation Crate: Learn how to build electronics with DIY projects delivered to your door every month. Dollar Shave Club: offers high quality razor blades and grooming products delivered for just a few bucks. They were recently acquired by Unilever for $1B. Football Haul: You like football, they like football, everyone likes football! Pick your team and sizes, and get the latest football gear (pro-level). Graze: for the snacker in your life, this is the perfect option to get the latest and tastiest foods. Ipsy: Each month, subscribers will receive a beautiful Glam Bag with deluxe samples and full-sized beauty products. Members can watch and play along with the stylists with the same products that they are using. All for only $10 a month. KidBox: The first kids style box that combines cool brands, meaningful savings, and a mission to clothe children in need. Loot Crate: offers geek-approved subscription boxes that deliver the best gamer and other pop culture franchise gear, clothing and collectibles. Nice Laundry: Buy crazy, cool and fun colorful socks for men and women. Build Your Own Box of various styles, including dress socks, camo, and more. Paleo Life Box: is a monthly subscription box service made for paleo lovers. With this box you’ll discover the best paleo snacks around. Plated: Experience a better way to cook dinner at home with Plated. Choose from chef-designed recipes and get precisely measured ingredients delivered each week. Stitch Fix: is the personal style service for men and women that evolves with your tastes, needs and lifestyle. Surprise Ride: is a monthly box of adventure on a mission to foster curiosity and creativity for children. Explore a new theme and learn something new. Stay tuned for the rest of our guide throughout November. We’ll be covering: fitness and health gifts, audio and video systems, computers, tablets, smartphones, drones, fashion accessories, and of course gadgets for under $100. You can find our first part of the guide on general tech and gaming here.